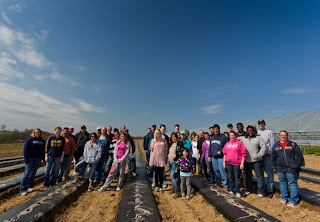 It’s so impressive to see our FarmSource program grow year after year. It’s hard to believe this program was started just 10 years ago! In 2012, Eat’n Park Hospitality Group purchased over 23 MILLION dollars in locally-sourced food, and Eat’n Park Restaurants represented 21% of that local spend. It’s truly amazing! You may think that FarmSource is just locally grown veggies, so you’ll be surprised to know that it goes quite a bit beyond that. Our FarmSource program is broken down into 4 distinct categories: Produce, Dairy, Meat and Artisan. FarmSource Produce – These items are sourced within 125 miles from our produce distributor, Paragon. 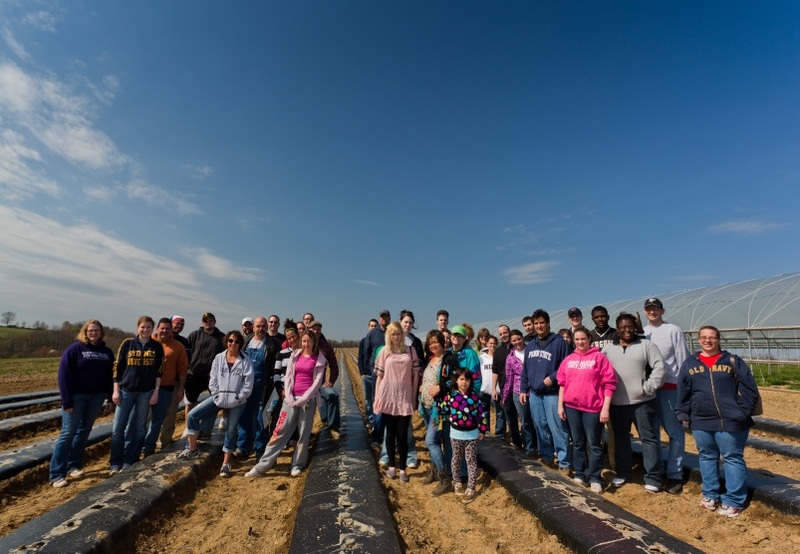 We work closely with these farms to ensure we have enough fruits and vegetables to meet the demands for our locations. You’ll see these products on our salad bars and they consist of peppers, cucumbers, tomatoes and cabbage. We also have some seasonal menu items like FarmSource Vegetable Soup and Baked Chicken Bruschetta. FarmSource Dairy – These products are sourced from farms which are within 125 miles from the dairy processing facilities. This category includes our milk, ice cream and cottage cheese. Our milk comes from Turner Dairy Farms that has chosen not to treat their herds with rBGH (bovine growth hormone) and we’ve selected this dairy because they believe in preserving the natural credibility of our milk supply. 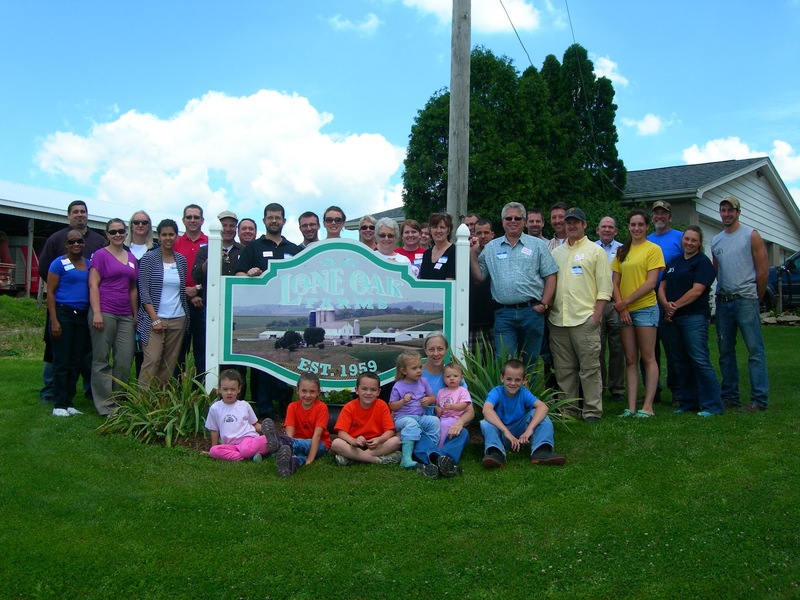 Click here to learn more about a couple of our dairy partners: Lone Oak Farms and Turner Dairy. FarmSource Meat – this applies to regional (located in the state or within a 3 hour drive) of the processing facility. These meat processors are USDA inspected and source their animals from farms that are located nearby their facility. Some of the meat items that fall within the category are our Bacon, Ham and Sausage from Hatfield Quality Meats. FarmSource Artisan – These producers are within 125 miles of our locations, and they devote their time, energy and passion to a limited line of products that emphasize high quality and unique flavors. They range from the local hearth-baked bread companies to the local sausage manufacturer. For instance our Chorizo sausage and Cappicola are from Parma Sausage in the strip district. With such a successful year behind us, I can only look forward to the local partnerships we’ll make in 2013. This is my favorite time of the year. This is when I go out and visit with our local growers to get an understanding of when they’ll have local product available. Each year I feel like the local produce season is growing longer, but really it’s the innovations that our farm partners have put in place at their farms. Like what, you ask? Well, you’ll just have to stay tuned for my annual Spring Farm Tour reports!